​If the final race of the F1™ season is also one of the most exciting, then it’s no surprise everyone wants a ticket for the Abu Dhabi Grand Prix™. The Abu Dhabi weekend is special for lots more reasons. It’s the only Grand Prix™ staged in twilight, when the cars gleam in the low sun over beautiful Yas Island. Then there’s Yas Island itself – a place devoted to leisure and entertainment, full of fun and thrilling destinations. Not to mention Ferrari World Abu Dhabi! In other words, the Abu Dhabi Grand Prix™ is well worth the trip. Relax in a superior hotel, in a prime location. Travel smoothly with coordinated flights and airport transfers. Everything you want from an incredible race weekend is included in our ATOL-protected packages. And if you want to add extra nights or additional activities, we’ll tailor a package just for you. ​We feel it is very important that our Grand Prix™ packages are fully inclusive of everything you need for an incredible race weekend. If we can't deliver these three simple things we've not done our job. Knowing all the potential pitfalls of cutting back on service and inclusions we'd rather kindly decline business than risk jeopardising your trip. Flights to the United Arab Emirates. You may think this would be an essential inclusion but we have seen trips that don’t include this key element. Accommodation. We offer a choice of standard (four-star) and premium (five-star) hotels in Abu Dhabi and on Yas Island. We use the same hotels year on year based on guest feedback, hotel location, price and our own personal experiences. If we wouldn’t stay in a hotel ourselves we certainly won’t offer it to our guests. Tickets. We'll always give you a price including grandstand tickets or hospitality for Saturday and Sunday and usually Friday too. As you're going to Abu Dhabi on Grand Prix weekend you'll probably want race tickets to be included. We feel it can be confusing and unhelpful if tickets aren’t included as standard. We only recommend hospitality venues that we have tried and tested and wouldn’t hesitate to recommend them to our own family and friends. Choose glamorous hospitality or grandstand race tickets. Relax in a superior hotel, in a prime location. Travel smoothly with coordinated flights and airport transfers. 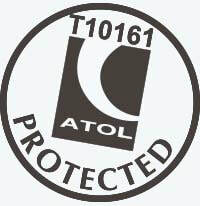 Everything you want from an incredible race weekend is included in our ATOL protected packages. Staying on Yas Island so you can walk to and from the circuit. Just like a championship wining F1™ team, we believe that success is in the detail. Our fully inclusive Classic Grand Prix™ packages are designed to give you a hassle free Grand Prix™experience. Enjoy superior hotels in prime locations, grandstand seats or fabulous hospitality. Your travel manager arranges everything. You can simply enjoy the thrill and atmosphere of Formula One™. ​Formula One™ travel without compromise. These ultra luxurious Grand Prix™ holidays ooze wow factor. Rub shoulders with F1's elite in the Formula One™ Paddock Club™ getting you as close to the action as possible. Enjoy seamless travel arrangements, premium hotels and our Grand Prix™ concierge service for all the finishing touches. ​WANT TO EXTEND YOUR STAY? WANT TO EXTEND YOUR STAY? Our concierge service can add any of the following finishing touches to your Classic Grand Prix™ package. ​ WANT TO EXTEND YOUR STAY? ​Our concierge service can add any of the following finishing touches to your Ultra Grand Prix™ package. So to help you plan your weekend, here's our essential guide to the Abu Dhabi Grand Prix™. Which Abu Dhabi Grand Prix™ grandstand is best for you? Choice is a great thing. But when you’re choosing between the excellent purpose-built grandstands at the Yas Marina Circuit, it can also be overwhelming. Do you prefer the excitement of the chequered flag, or wheel-to-wheel action at the corners? With our Yas Marina Grandstand Guide, you can choose your perfect seat. Which Abu Dhabi Grand Prix™ hospitality package is right for you? A trip to the Yas Marina Circuit is your chance to experience Abu Dhabi’s world-renowned hospitality. So if you’re going to make the most of it, you need to know the best options. • Superb views of the Yas Marina circuit. • Reserved seating in the outside balcony on the upper levels your chosen grandstand. • Access to private, air-conditioned suites with contemporary style furniture and flat-screen TVs. • Unlimited non-alcoholic beverages throughout the day. • Unlimited hot and cold food snacks throughout the day. • Cash bar for alcoholic beverage purchase. • Access to the Yas Suite is via an elevator from the grandstand entrance. • ​Passes allow access to the grandstand and Yas Suite​ with an invitation to attend the evening concerts at the Du Arena. • Food and drinks are provided throughout the day including a hot buffet with with cash bar for alcoholic beverages. • Smart casual attire is recommended. ​• An unforgettable weekend in exclusive and elegant surroundings. • ​​Superb views of the Yas Marina circuit. • Breakfast buffet served from 11:00am daily. • Buffet lunch served from 2:00pm daily. • Full open Champagne bar between 11.00am and the final on track action. Please check the latest timings and inclusions at the time of booking. • ​Access to the terrace is via the Yas Viceroy Hotel main entrance. • ​​Passes allow access to the Yas Viceroy Hotel & the Yas Viceroy Terrace with an invitation to attend the evening concerts at the Du Arena. • ​Food and drinks are provided throughout the day including a gourmet lunch with fine wines and Champagne. • ​Smart casual attire is recommended. The organisers requests that no jogging suits or beach attire be worn. Tailored shorts are permitted. With an incredible race viewing location and exclusive behind-the-scenes access, nothing can match the thrill of the Paddock Club™. You’ll see the steeled determination in the drivers’ eyes, and the clockwork-precision of your favourite team at work. And what’s more, you’ll be close enough to feel part of the race. • An unforgettable weekend in exclusive and elegant surroundings. • Invitation to participate in exclusive Pit Lane walks. • Access to the support race paddock. • Privileged viewing location with some of the best view in Formula One™. • Interviews with drivers and team personnel. • World class cuisine, fine wines and exceptional service. • Comfortable, air conditioned suites and lounges. • Relaxed and exclusive atmosphere. ​• Passes allow access to the Formula One Paddock Club™ with an invitation to participate in the exclusive pit lane walks as well as providing you with access to the support event paddock where you can observe the preparation of the support event race cars. • Food and drinks are provided throughout the day including a gourmet lunch with fine wines and Champagne, which will be served to you in the hospitality area of your host. • Smart casual attire is recommended. The Formula One Paddock Club™ requests that no jogging suits, shorts or beach attire be worn. ​• In previous years pit lane walks have been at 3:45pm - 4:45pm (Friday), 11:00am - 12:05pm & 3:05pm - 4:20pm (Saturday) & 3:15pm - 4:15pm (Sunday). ​Only 20 minutes from Abu Dhabi International Airport, and about 30 minutes from downtown Abu Dhabi, the Yas Marina Circuit is in a great spot for visitors. Altitude GP guests stay in hand-picked 4 and 5-star hotels, many of which are on Yas Island itself. You can walk to and from the circuit in minutes. If you’ve seen the Abu Dhabi Grand Prix™ on TV, you’ve seen one of the iconic F1™ landmarks. The stunning Yas Viceroy Hotel features a sparkling grid shell structure and glass bridge, which crosses directly over the race circuit. Here guests have the enviable opportunity to stay at the circuit complex, where they can soak up the race atmosphere for the duration of Grand Prix™ weekend. Could there be any better hotel for a Formula 1™ fan to stay at? The Yas Marina’s balconies also provide views over the marina and the racetrack. No wonder it’s the most prestigious hotel in Formula 1™. There’s also a selection of 4-star hotels on Yas Plaza, just across the road from the circuit. Hotels not located on Yas Island are still only a short distance to the circuit, and all transfers are provided. So wherever you stay, you’ll never worry about getting to the Grand Prix™! The Yas Hotel Abu Dhabi is the island’s landmark hotel, unique not only for its high-tech LED canopy design, but also for its position straddling the Yas Marina Formula 1™ Racing Circuit. Generously-sized rooms are fitted with custom furniture, mood lighting and designer fabrics, and feature all-glass bathrooms and floor-to-ceiling windows with views of the marina, the race track or the sleek curves of the hotel’s colour changing canopy. Watch high-speed races and practices, relax beside one of two pools, enjoy views of the circuit from the rooftop bar, or stroll directly onto the sands of Yas Beach. Further facilities include a state-of-the-art gym, luxurious health spa with steam room, plus a stylish array of restaurants, bars and lounges. Overlooking the Arabian Gulf and the Yas Links Golf Club, the Radisson Blu is located at Yas Plaza and within walking distance of the Yas Marina Circuit. Leisure facilities are ideal for families and golfers with golf greens adjacent, swimming pool and health spa on-site, and the beach nearby. All rooms are well-equipped - with business category rooms offering access to an exclusive lounge – and dining choices include classic Italian and impressive buffet selections that can be enjoyed indoors or on the alfresco terrace. A regular shuttle bus service opperates between Yas Plaza and the Yas Marina Circuit. The Crowne Plaza Yas Island is located at Yas Plaza on the banks of Yas Island's Creek, along the Yas Links golf course and only a few minutes walk from the has Marina Circuit. This four-star superior hotel features a 25-metre outdoor pool with sun-lounger terrace and state-of-the art gym, complete with sauna, steam room and squash court. A regular shuttle bus service operates between Yas Plaza and the Yas Marina Circuit. Located on the spectacular Yas Island just a few minutes from the famous Yas Marina Circuit, Yas Island Rotana is ideal for a visit to the Abu Dhabi Grand prix. Yas Island Rotana has rooms and suites with complete modern amenities and offers complimentary WiFi access, world-class restaurants and bars. ​One of the most recognisable hotels in Abu Dhabi, Andaz Capital Gate Abu Dhabi, measures 160 metres tall and leans westward at 18 degrees – four times as far as the Leaning Tower of Pisa and further than any other tower in the world. The luxury five-star guestrooms and suites occupy the 18th to 33rd floors of the Capital Gate building and feature contemporary and luxurious design with panoramic views from floor-to- ceiling windows. Transfer time from the Andaz Capital Gate to the Yas Marina Circuit is just twenty minutes. A sophisticated and contemporary hotel, Fairmont Bab Al Bahr is in a prime beachfront location in this vibrant city. With a combination of fantastic restaurants, including a collaboration between Michelin-starred chef Marco Pierre White and Frankie Dettori, excellent room amenities and private beach access. ​This chic hotel epitomises the Shangri-La ethos of luxury, style and excellent hospitality. The hotel benefits from a spectacular waterfront setting and features large, luxuriously appointed guestrooms tastefully furnished in modern Arabic style. Guests staying in Horizon Club Rooms or one of the suites will have added benefits which include a dedicated concierge and use of the club lounge where snacks and beverages are served all day, plus evening cocktails and canapés. The hotel also boasts a fantastic array of leisure facilities including Shangri-La’s signature CHI Spa, a state-of-the-art health club and a variety of superb restaurants. The hotel is conveniently located next to a souk, housing a variety of shops and additional dining options. ​We help many guests to create their own ultimate Eastern holiday. It’s an awe-inspiring travel opportunity they don’t want to miss. Here are some highlights you might want to add to your own itinerary. Lying in the calm, blue waters of the southern Gulf and flanked by a majestic desert, the iconic city of Dubai offers year-round sunshine and five-star luxury. This is a place of fascinating contrasts, a distinctive blend of modern city and timeless desert, a place where East meets West, and where gleaming skyscrapers stand side-by-side with the intricate alleyways of the gold souks. Dubai’s hotels rank amongst the best in the world and its dining, shopping and nightlife scenes are at the forefront of innovation. Ambitious projects such as the off-shore ‘Palm’ islands, state-of-the-art water parks, golf courses and even indoor ski domes, continue apace and the constant evolution ensures no two trips to this fabulous city will ever be the same. This small collection of paradise atolls is one of the most unspoilt destinations you’ll find on Earth. Clear blue sea laps against pristine white sandy beaches, tropical palm trees sway in the gentle breeze, transport is by private boat or seaplane, and the majority of these tiny Indian Ocean islands host just one resort each. The people are open and friendly and the food is fresh and delicious – a tasty fish curry is the national dish. Unspoilt coral reefs and abundant marine life including manta rays, sharks and turtles make the Maldives a diver’s dream destination. Just south of India, and surrounded by the warm waters of the Indian Ocean, lies the tropical paradise of Sri Lanka. With miles of unspoilt palm-fringed beaches there is a wealth of attractions to be explored. Sri Lanka’s heritage dates back thousands of years and visitors can delight in its many UNESCO World Heritage sites and temples. Travel inland and the temperate hill stations offer lush panoramic views over the surrounding tea plantations. Visit one of its many national parks that thrive with fascinating wildlife, including hundreds of elephants and the world’s most dense population of leopards. 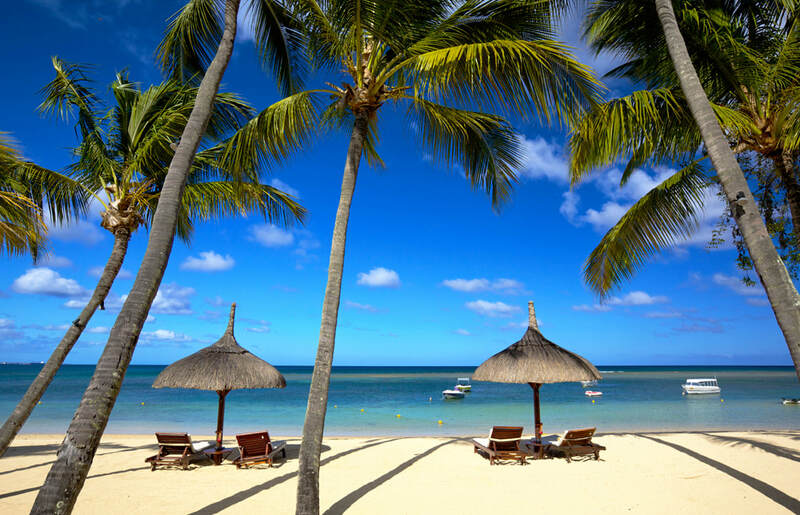 Mauritius, known for its exceptional service and accommodation, lies in the warm waters of the Indian Ocean. Discovered by Europeans in 1505 by a Portuguese navigator, the island was occupied successively by the Dutch and the French, then ceded to Great Britain in 1814 before gaining independence in 1969. Today the one million plus population consists of Hindus, Muslims, Chinese, Creoles and Europeans. And it is this integrated, exotic pot-pourri of languages, customs, cultures and cuisine which makes Mauritius so vibrant and appealing. The coastline is almost entirely surrounded by coral reefs and white-sand beaches. The Seychelles archipelago consists of 115 diverse islands, delicately scattered like jewels in the sapphireblue waters of the Indian Ocean. Each island’s unique appeal and immaculate, uncrowded beaches bestow the Seychelles with the reputation of having some of the most unspoilt tropical hideaways in the world. Your tickets will be sent by Royal Mail Special Delivery at a time convenient to you. Tickets are usually dispatched four weeks before the Grand Prix. Is my money safe when I book with you? Do I have a point of contact during the race weekend? It’s the little extras that make Altitude Luxury Travel F1 breaks special. Your travel manager arranges everything, from cocktails in Monaco to a desert safari in Abu Dhabi. And should you need assistance during your trip, help is just a call away. How do I get from the hotel to the circuit? If you're not staying on Yas Island the quickest way to get to/from the circuit is by car. Taxi load zones are located by the Marina entrance and near the Yas Plaza hotels. An Uber pick-up point can also be found by the Yas Links Golf Club. Our concierge service can also arrange chauffeur-drive transfers on request. Do you have other packages available? Yes, we can tailor-make your Grand Prix experience, so if you'd like to make your trip into a longer holiday please just ask! What happens when I arrive at the airport? One of our local agents will meet you in the airport arrivals hall and take you to your hotel. "I have to say that I've had nothing short of an amazing experience with Altitude Luxury Travel after coming back from the Abu Dhabi Grand Prix. Rob did a fantastic job of organising this for me and was always happy to answer my questions. His drivers who took care of my transfers were extremely friendly and easygoing. I could scarcely have asked for more from Altitude Luxury Travel and would absolutely recommend them to anyone looking for a package deal for a Formula One travel experience."